Iker Casillas saved Real Madrid from a disastrous elimination in the Champions League quarter-finals, as Borussia Dortmund came one goal short from equalising the tie. Los Blancos played a terrible first half, especially the defence. Two mistakes from Pepe and Asier Illarramendi allowed the hosts to earn a 2-0 advantage. Yet, a brilliant performance from Casillas prevented the Germans from scoring their third. The match would have certainly been a lot different had Angel di Maria scored a penalty. In Real Madrid’s only chance in the first half, the Argentine slipped when shooting and his effort never had enough power to beat Roman Weidenfeller. A few minutes later, Di Maria would regret that miss, as Marco Reus rounded Casillas before slipping one into the bottom corner from close range. It was a horror moment from Pepe, whose back-header never had enough power to find his own goalkeeper. German fans went mad as Illarramendi missed an easy pass, handing the ball to Robert Lewandowski. The Polish international exchanged passes with Reus, and smashes a shot that Casillas pushed onto the post. However, Reus was there to follow the rebound emphatically home. Luckily, half-time arrived before Dortmund could make it 3-0, taking advantage of Madrid’s catastrophic first half. 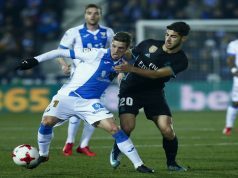 Ancelotti cleverly replaced Illarramendi, who had been very nervous on the night, and brought isco in, sending Di Maria back to the midfield line and gaining more control of possession with the Andalucian alongside Xabi Alonso and Luka Modric. Los Merengues had their best chances to score the goal that would seal their qualification for the next round. 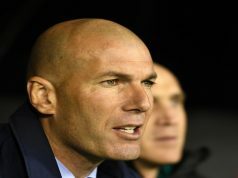 However, Karim Benzema and Gareth Bale, who had a terrible night, missed two clear chances. Madrid players started to feel nervous again and Dortmund came close to finishing their comeback. Reus slided a low pass towards Henrikh Mkhitaryan, who rounded Casillas but his effort smashed the post. The Armenian had another wonderful chance four minutes later with a strike from inside the box, but Casillas brilliantly made the save. The Spanish goalkeeper made another superb save in the next play, denying Kevin Grosskreutz from close range. And he kept his side on the game again as Grosskreutz attacked a loose ball inside the box and seemed primed to bang his shot into the corner, but Casillas got two strong hands across to push it away. With Dortmund desperately trying to score, Real had up to four clear counter-attack chances to score in the last minutes. Yet, Weidenfeller was solid on goal. 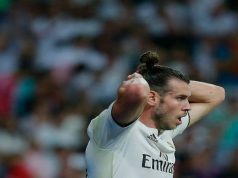 Los Blancos finally resisted, by they will have to improve their game and their defence in order to succeed in their next crucial challenges: the final of the Copa del Rey and the Champions League semi-finals. These is an acceptable mistake from the same defenders, this has to solve before next stage, or madrid will pay the price.